The only part of the Caravan trip that was a little odd for us was that we did not come by way of our 195. 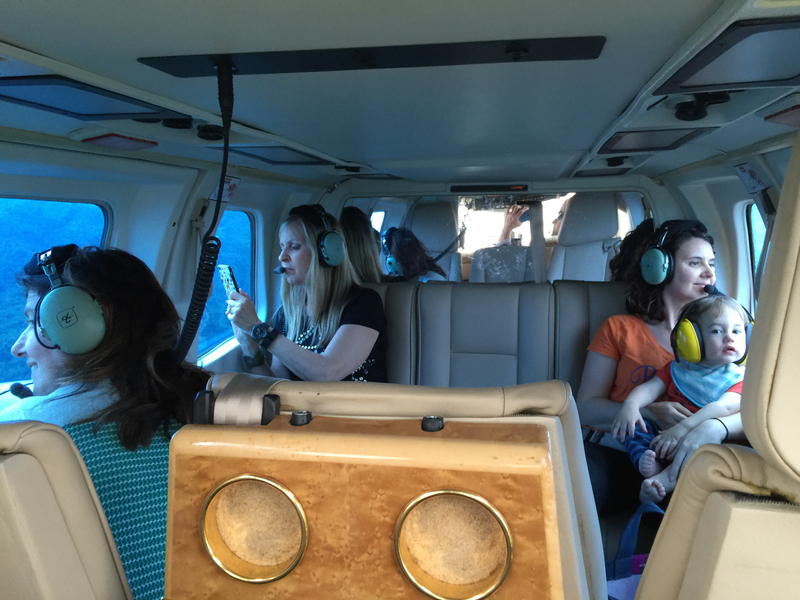 Our good friends Richard & Marilyn Cooper joined us for the weekend adventure and we flew in their Bell 222 helicopter – the rotor-wing version of a 195 :). Craig Layson was already in the Asheville area earlier in the week for a work function, so we made a slight detour and stopped in Michigan to pick up Maggie. 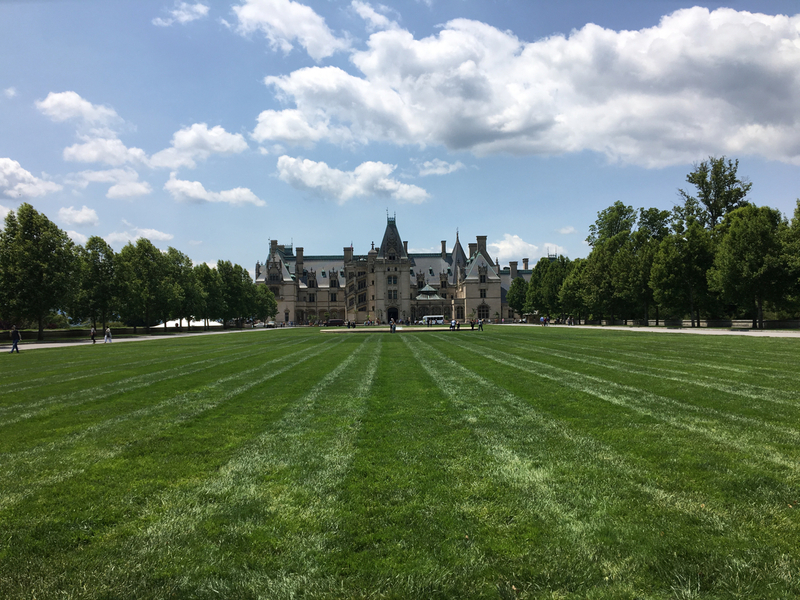 The weather forecasts for Friday, May 20 were a bit iffy for VFR arrivals into Asheville, so there were some last minute destination changes for a couple of the families. A small contingent went to Branson, MO, where the weather forecasts were more favourable. 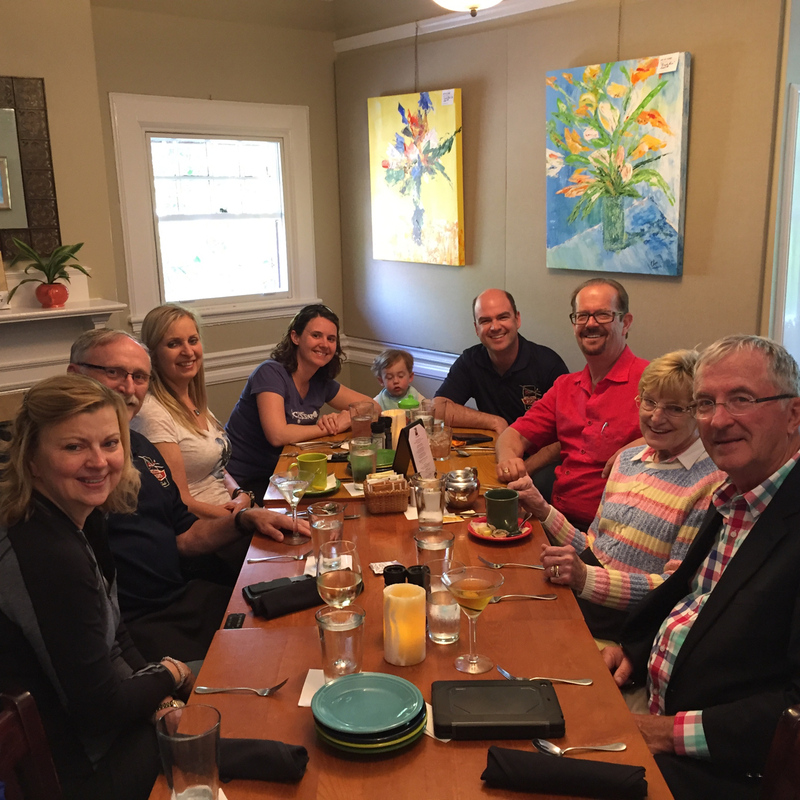 The families that made it to Asheville were the Arnold’s, the Cooper’s, the Kline’s, the Layson’s, the Saloga’s and the Robertson’s. 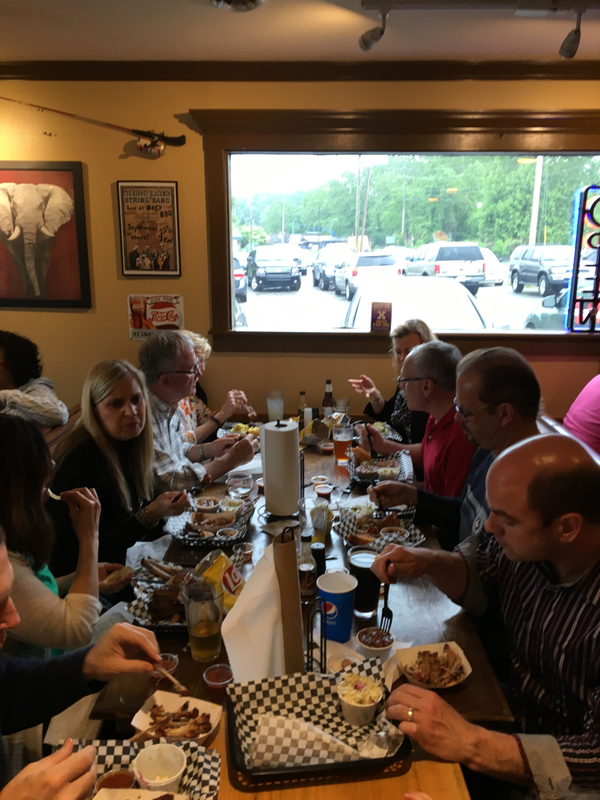 After arriving mid-afternoon, we all got settled into our respective hotel rooms and then the group went to Moe’s Original BBQ for a delicious traditional North Carolinian BBQ dinner. As with most gatherings involving 195 Club members, there ended up being a bit of a focus on food and drink for the group activities we planned. On Saturday there were two activities scheduled. 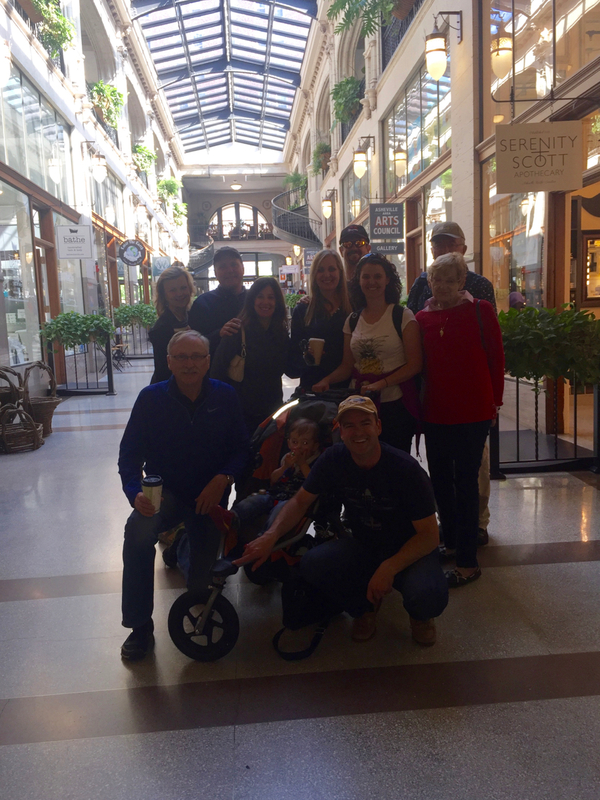 The first was a “Mimosa brunch food tour” put on by Asheville Food Tours. Our tour guide was Paddy and he did an excellent job showing us around the city and giving us lots of great historical and current information along the way. We visited 6 different restaurants/stores – Chorizo, Chestnut, Chocolate Fetish, Strada Italiano, Blue Dream Curry House and Bee Charmer. All of the food and drinks were scrumptious and the service we received at each location was top notch. After the food tour everyone was on their own to do a bit of exploring around Asheville. The city has a funky, care-free vibe (think hippy and/or “tree-hugger”). Everyone was very friendly but there was definitely lots of variety in clothing styles, hair styles/colour, piercings, and tattoos. People watching was definitely entertaining, including the street performers that were scattered throughout downtown delighting whoever stopped to watch and listen. For those that enjoy shopping there were lots of choices. We came across a great shoe store that covered a whole city block, several independent shops in the downtown area and we had some luck procuring some goods. The Saloga’s also had a fantastic find that afternoon at the Pinball Museum. The artwork on one of the pinball machines in the museum was by Will’s first cousin John Youssi, a commercial artist. What are the odds! The second group activity on Saturday was dinner at Chestnut. It was a pure coincidence that this restaurant was one of the stops on the food tour. We had selected it for the group dinner purely based on various reviews we had read. The food, drinks and fellowship were wonderful and the staff did a great job accommodating our large and crazy group! 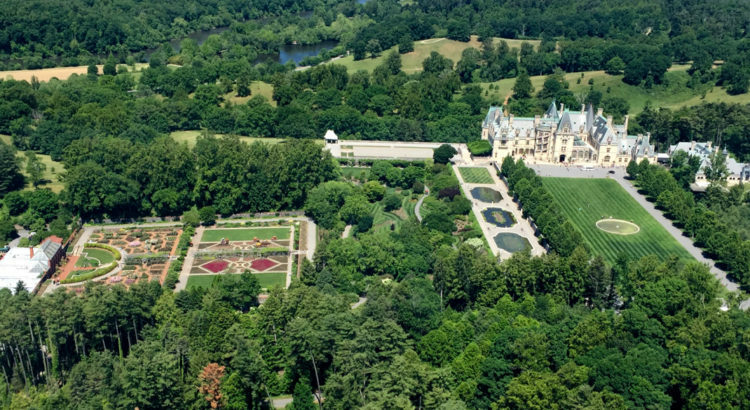 The square footage of the house is approximately 178,000 square feet, or 4 acres! 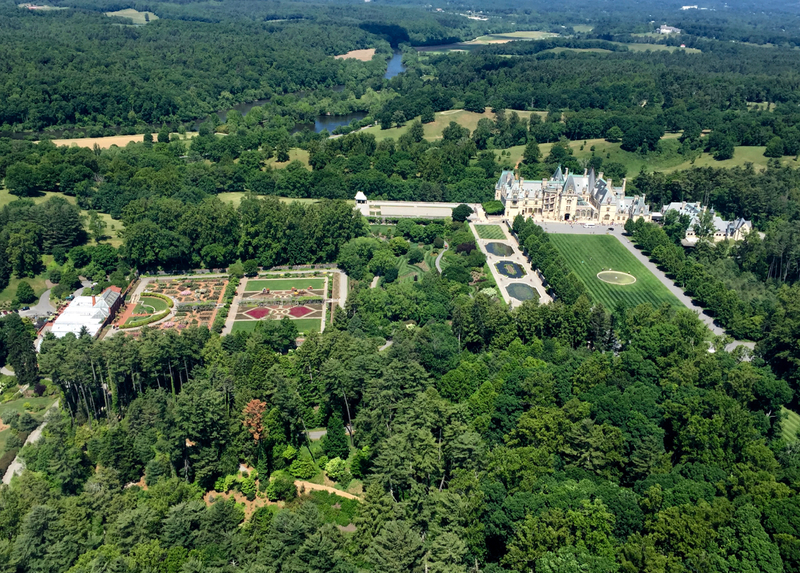 The estate originally covered 125,000 acres, but at the present date is a modest 8,000 acres. The house was absolutely incredible. We really didn’t have time to see the grounds. And apparently there is a Premium House Tour that we need to go back and do. The Premium tour takes you onto the rooftop and into some of the back rooms to see how the cutting-edge technology in the house worked as well as into the servants quarters and guest rooms. These items are on the “To Do” list for our next visit to Asheville! After a full day of touring the Biltmore house and Antler Village, the remaining members of the group enjoyed a delicious dinner at The Corner Kitchen restaurant. We were given a private room on the second floor. Once again we enjoyed great food, drinks and conversation. On Monday morning everyone packed up and headed their separate ways. By all accounts everybody who attended had a great time. That is one thing that we love about our 195 Family — no matter where we are and what we are doing, we always seems to have fun and enjoy being together.